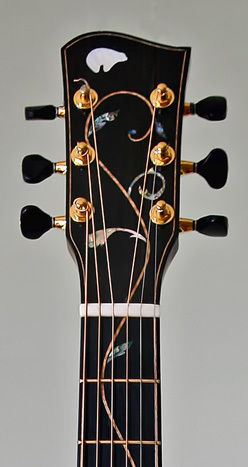 *Model shown with optional Ventian cutaway and Rose Inlay. 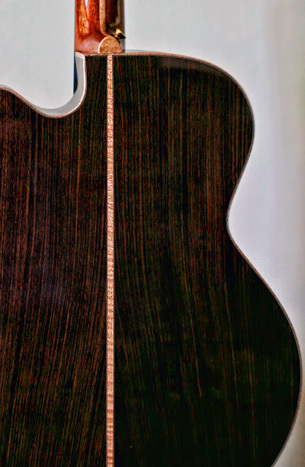 OO and L-1 inspired small bodied guitars. 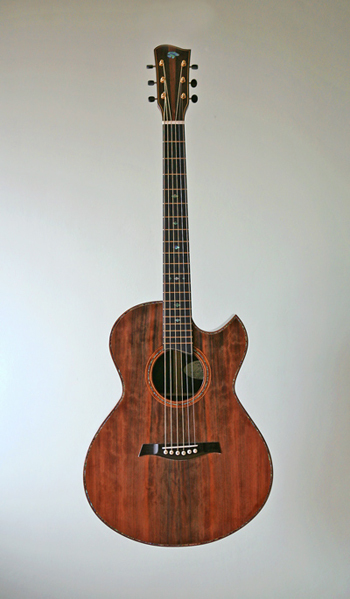 A deep-bodied L-1 style small body shaped guitar. 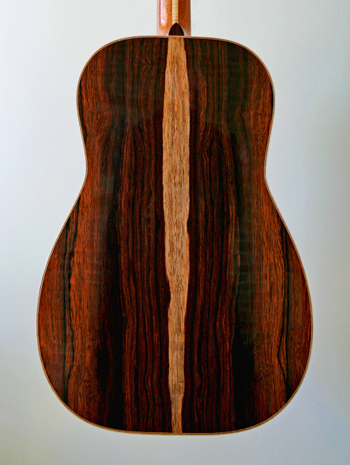 An OM style with a small Dreadnaught body size. *Model shown with optional Florintine cutaway. 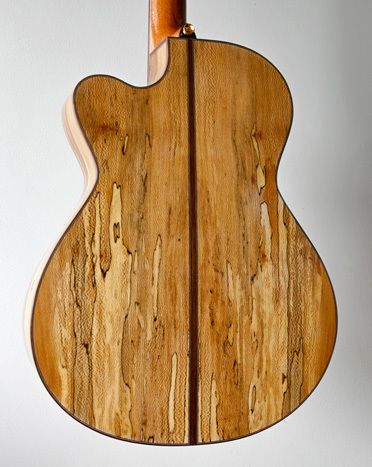 An OM influenced, medium body guitar. 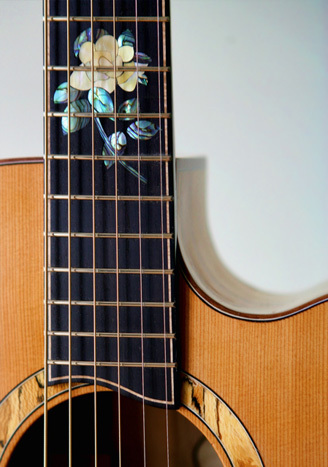 *Model shown with optional Vine Inlay. 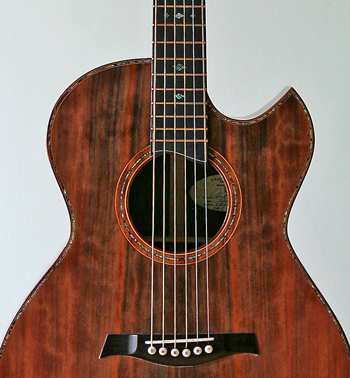 A small jumbo/auditorium body, suited for fingerstyle playing. 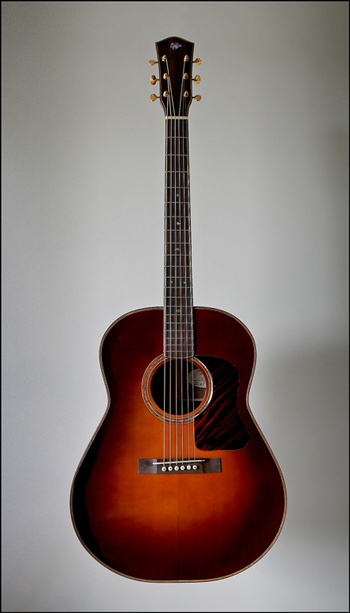 A classic Dreadnaught style guitar. 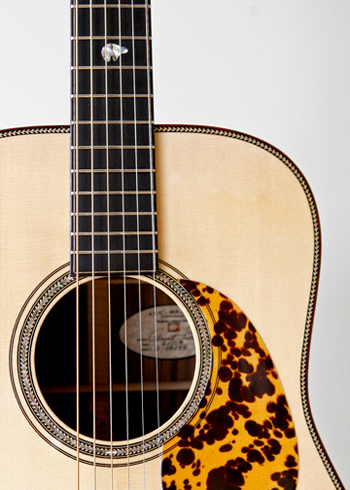 *Model shown with optional Tobacco Sunburst. A smaller version of the 1940's J-45 guitar. 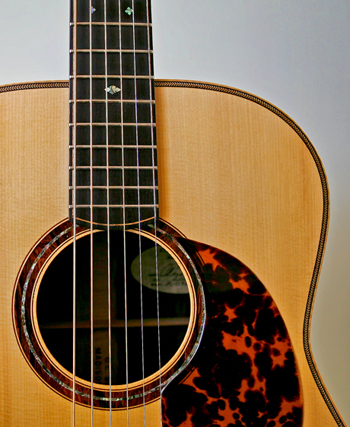 *Model shown with optional Tri-color sunburst. 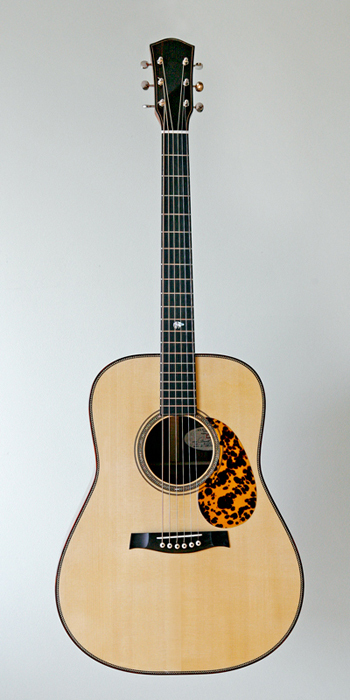 An Advanced Jumbo style guitar. 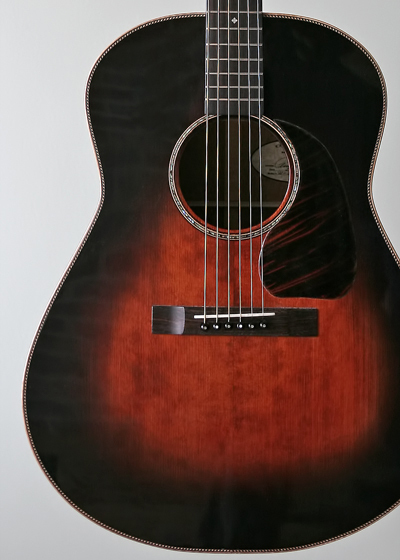 My son and i were in Louisville and I was in the market to buy my son his first guitar, so we went to First Quality Music to pick up a introductory model for him. While we were waiting for assistance, old dad wandered around to see what I could find. 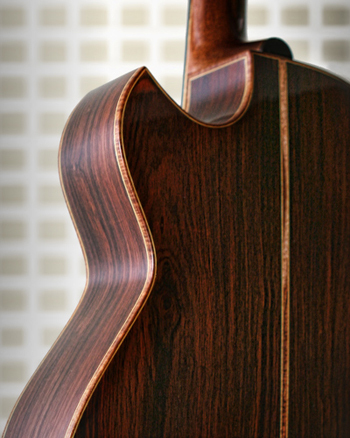 A friend that I work with had told me about your guitars, and had really praised your work. 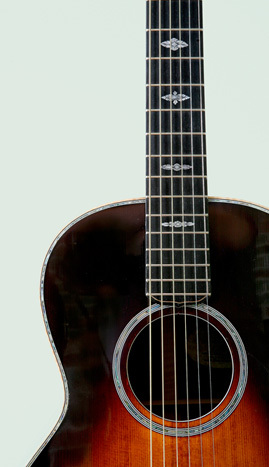 I found the two guitars they had in stock. 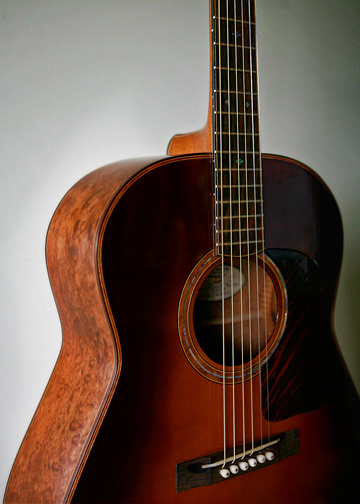 as soon as I strummed the first chord, my son said, "WOW!" and that was from a 10 year old! I personally couldn't say it better myself. I've played just about everything out there. Taylor, Breedlove, Collings, Martin, etc., and i have to say that none of them has impressed me like the O C Bears. Fantastic.